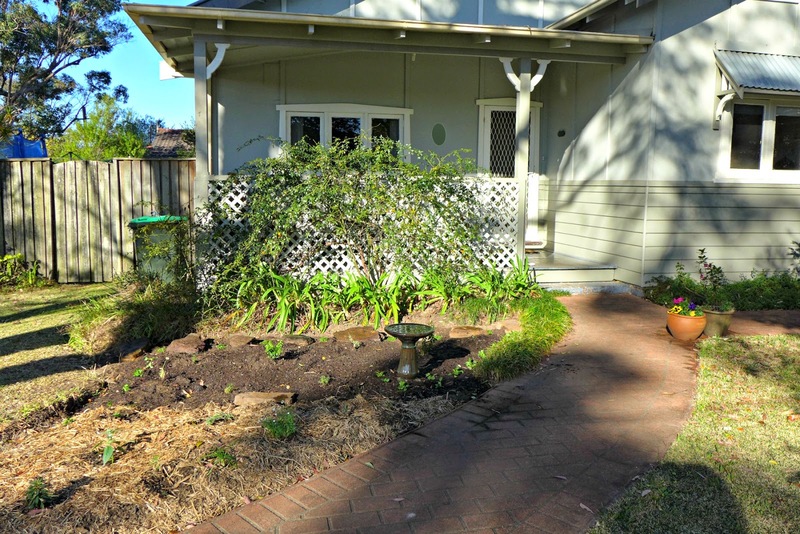 In the last few weeks we've been making some progress in the front garden. 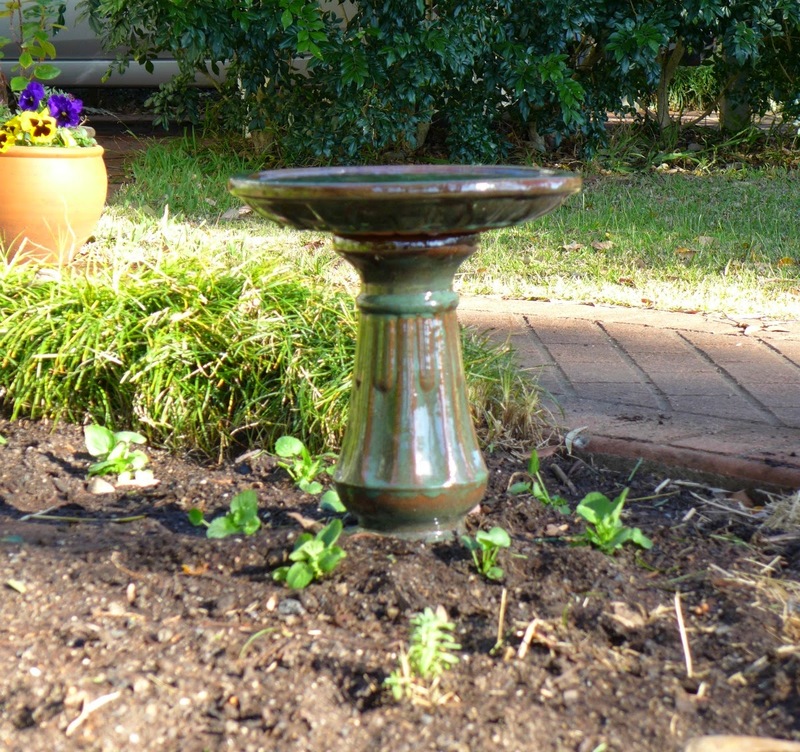 and came home with some seedlings and a birdbath. hoping they will grow up and flower soon. 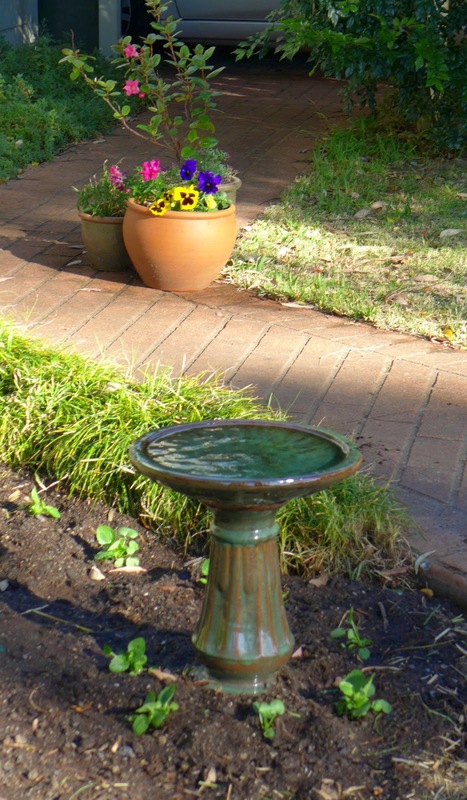 Eventually the birdbath will be nestled among shrubs (if they all grow up). Until then, it will have to look a bit twee standing tall by itself. (Also, I'm hoping the lovely green glaze on it is not so shiny that the birds avoid it. is what Steve dug up on the weekend. hopefully it will be full and green very soon, a cottage garden bed. This part of the garden gets dappled sunshine, there are very tall trees overhead. 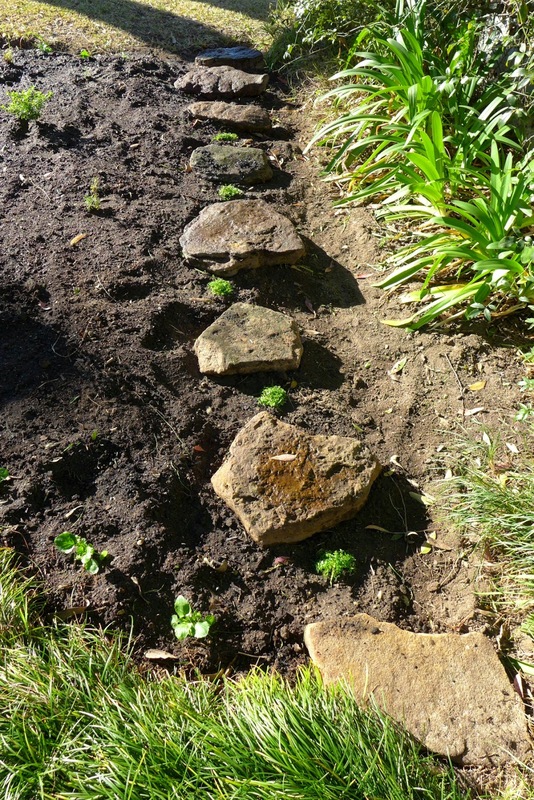 should fill the gaps nicely in time, and flower with tiny white star-shaped flowers in summer. planning, digging, planting, watering, then checking how they are growing. Those moments outside are the highlights of my days these last few weeks. There was a party a happening at the other bird bath; who would want to play alone?